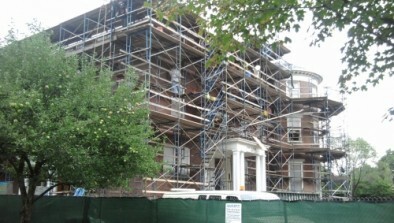 In June 2011, the Harvard Radcliffe Institute of Advanced Study began construction on the major renovation and restoration of the historic Fay House, originally built in 1807. Renovations to the building included mechanical and electrical systems upgrades, life safety and accessibility improvements, envelope restoration and modernization, deferred maintenance projects, and structural improvements. This provided Radcliffe with an opportunity to reconfigure the spaces to meet the building’s evolving programmatic requirements as well as increasing energy efficiency while improving indoor air quality. To further complicate the matter, these goals needed to be achieved while preserving the building’s historic features and character, inside and out. 97% of all construction waste and debris was diverted from landfills. 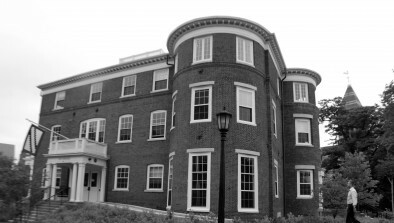 The US Green Building Council (USGBC) has confirmed that Fay House is the oldest LEED certified building in the United States.